but there's been almost no "I (or my child) loved this book." best of the Pinkwater canon for my boy. In Lizard Music Victor tells the story of his unusual summer. television. Which has lizard musicians on after the late movie. like me and will never quite understand. 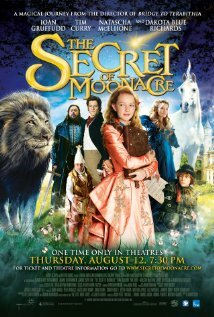 Last week my family watched The Secret of Moonacre, and really enjoyed it. novel and I remembered Green Dolphin Street with fondness. heightened stakes that make for a good movie, the original book is considerably quieter and more lyrical (Literally. There are song lyrics throughout the book). a child, this is not a book I'm going to try with my son. Emotion dominates and subtlety rules. brave girls, and happy romantic endings. p.s. remembered two more in the orphan girl genre-Pollyanna / Porter and Rebecca of Sunnybrook Farm / Wiggin. Anyone remember others? who love and work with them. of a book for kids. where I or guests write about books for adults. I write more at - random. ideas here, so I hope you find something helpful. And your ideas are very welcome! "A strategy that seems to work for both of my sixth grade students is asking comprehension questions in a multiple choice format rather than asking open ended questions. Both of the guys are willing to chance an answer given three choices. I usually ask the question as written first, then if I get the "I don't know", I give three possible answers. If they miss that question, I am pretty sure it's something we need to look over again. Always pre-teaching or pre-discussion of key concepts is helpful, which means pre-reading on my part! 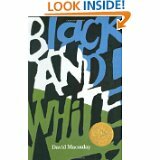 Whenever possible we look at the questions before reading a passage, a method called "priming" in the reading comprehension series I am using between classroom reading assignments. 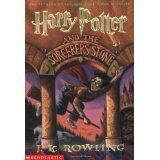 We look at the title of the chapter/story to predict what might happen, and look at any pictures that may be given. With my trusty iPad I can google or wikipedia just about anything on the spot and usually come up with some kind of picture to illustrate. And always as part of my literacy "web" I try to include a semantic web or thinking map. I do think that multiple choice options can be used with mm. needed to move along with the assignment. I believe that fits into the literacy web view of reading comprehension. Interesting that I have seen multiple choice format offered as a classroom accommodation for years on the IEP, but just now associate it with my ASD kids as an essential teaching strategy. I wonder if perhaps that accounts for good scores on standardized testing sometimes when reading comprehension is such struggle in day to day assignments." version of The Gingerbread Man. with easy vocabulary and eye-catching graphics. What my son likes, is, of course the word play. "I want to see my favorite parts. to the ones he likes, "Humpty Trouble,"
has suffered a shattering fall." his class focuses on "context clues." because until very recently, literacy studies and strategies specifically for children with autism were few and far between. And there continues to be a need to draw from all literacy sources because our kids learn in individual ways. *Chapter 8 "Seeing Students with Autism as Literate" in You're Going to Love This Kid. Think-Aloud Strategies (2001) and ***Palinscar & Brown Cognition and Instruction (1984). 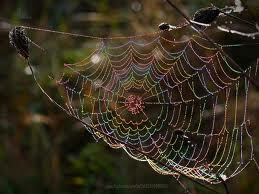 Photo from www.whatsthatbug.com all rights reserved. morphed into readers' theatre. Perhaps because our little boy had autism, we soon had permanent roles in one or two stories. 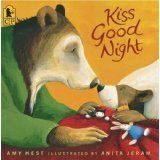 The one I remember best is Kiss Goodnight by Amy Hest. This story of a little bear going to sleep in a house on Mulberry Street had the three of us cuddled and cozy with Daddy as the narrator and myself as Momma Bear and The Wind. (foolish me) but I always did (I'm not completely stupid). Another one that tugged at my heart strings and that I was permitted to read to him on my own was Love Songs of the Little Bear, forgotten lyrics by Margaret Wise Brown (author of Goodnight Moon) rescued from obscurity by illustrator Susan Jeffers with words and pictures of gentle sweetness. "Long time will I love you, never, never go away." Children with autism often acquire language and literacy later than neurotypical kids and this can lead to many mistaken assumptions about their intelligence and ability to learn. Paula Kluth argues* that teachers should abandon the notion of a literacy ladder in favor of a literacy web. The ladder requires the student to master skills in order to move on and leaves some students stuck at the bottom. The web gives students many types of exposure to literacy activities. Some children with autism comprehend stories and can engage in literature projects long before they can read fluently. Some students may suddenly read whole passages without ever "learning" sight words or other intervening literacy rungs. If teachers embrace the non-sequential learning, literacy in the general education classroom becomes accessible to all learners. Of course, the instruction should not be of the sink or swim type. To truly include all learners, teachers must observe and respond to individual learning styles. Kluth suggests many strategies, such as using individual interests, visuals, writing down instructions, reading aloud and echo reading, and multiple texts. As always, I'm struck by how helpful these strategies can be for all learners. Next week I'll discuss what Kluth writes about comprehension. Researchers Kliewer and Biklen originated the idea. strangeness might appeal to my son. He read it on his own, so it worked on some level. he read and understood the middle of the story well. to try for mid-range readers. What does he understand when he reads on his own? answer any questions about it. Here at my house I continue to struggle to find how my child reads and if there is any way to make him retain what he reads better. Last week he read an entire chapter to himself at school, so he didn't want to read it again at home. But he could not answer any questions about it. I almost wrote that he remembered nothing about it, but I don't know that. I just know he answered "I don't know." what he read so eagerly because he could not answer questions about it. But at home he played games with wizards and wands. Another friend of mine home schools her neurotypical boys. She often reads to them while they pet the dog, toss a ball, wander around, etc. And they are listening. They are understanding. They are learning. I let my son act out some of what I read this week instead of making him hold the book and follow along till it was his turn to read. Then when I asked about the book I answered his "I don't know" with "What did you act out?" must read the page again until you find the answer." He hates that. So do I. This week, read aloud books for school-age kids. Whether you're reading at home, at school, or putting together a story time for kids with special needs, figuring out what to read aloud to kids in elementary school may be puzzling. But as one of my librarian friends says, there's a picture book for every age! So here's a list of picture books (and one well-illustrated chapter book) to try with older kids with autism (or without). 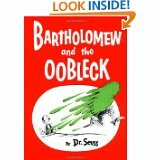 longer, more complex Dr. Seuss-never be afraid to abridge if you’re losing your audience. are two books with proven appeal and great visual humor. Lady Lollipop/King-Smith A fun chapter book about a royal pet pig, by the author of Babe. Madeline/Bemelmans Rhymes make this classic almost irresistible, and kids w/autism are usually less tied to gender/age expectations. Meanwhile Back at the Ranch/Noble A funny book that plays off of story conventions-also featured on an episode of Reading Rainbow. Stand Tall Molly Lou Mellon/Lovell A be yourself book. The Twin Giants/King-Smith A funny story with BIG pictures. date references (which appeal to kids with calendar interests).